The parent company of Atlantic City’s Borgata Hotel Casino has claimed an important legal victory in its high-profile lawsuit against professional gambler Phil Ivey over “edge sorting” tactics employed by Ivey and his co-defendant playing partner, Cheung Yin Sun, at the Borgata’s mini-baccarat tables. In a split ruling issued on Friday by US District of New Jersey Judge Noel J. Hillman, Ivey and Sun were found to have breached an implied contract entered into with the Borgata, which included playing the affected mini-baccarat games under the rules and odds established under New Jersey’s Casino Control Act [CCA]. Due to Ivey’s and Sun’s admitted changing of the game’s traditional odds via their complex edge-sorting scheme, Judge Hillman ruled in favor of the Borgata on three civil counts: Breach of Contract; Breach of Implied Contract; and Breach of the Implied Covenant of Good Faith and Fair Dealing. Hillman granted the Borgata’s parent company, Marina District Development Co., LLC, summary judgment on those counts, simultaneously dismissing Ivey’s and Sun’s motion for dismissal. However, Judge Hillman ruled in favor of Ivey’s and Sun’s motion to dismiss on separate fraud and RICO claims. The RICO charge could have opened up Ivey and Sun to trebled damages and attorney’s fees in what already looms as a $9.626 million judgment. Judge Hillman wrote that Ivey’s and Sun’s actions were “far from admirable,” but did not rise to the level. Hillman also wrote that other allegations against the pair were rendered either moot or redundant by the decision that affirmed the contract-based claims, but denied the fraud-related allegations. Though the ruling is technically a split decision, it is in fact a victory for the Borgata, since the ruling leaves Ivey and Sun liable for the entire $9.626 million that Phil Ivey won at the Borg’s tables. Separate claims filed by the Borgata against the manufacturer of the playing cards utilized within Ivey’s and Sun’s scheme, Gemaco, were not addressed in the ruling. That card manufacturer and the Borgata have argued on separate claims as to whether the decks provided to the Borgata met the terms of the contract between the two firms. There is the chance that that portion of the case could be drawn out while the Borgata attempts to collect the pending judgment against Ivey and Sun — primarly Ivey, who served as the “official” gambling whale whose business the Borgata actively sought. As part of the ruling, the complete conclusion of which is reprinted in it entirety below, Phil Ivey and Cheung Yin Sun will have 20 days to respond to the ruling, including the possibility of appeal. The Borgata’s counsel will have an additional 20 days to respond in kind once Ivey’s and Sun’s initial response is filed. In reaching his decision, Judge Hillman relied heavily on the notion that the scheme employed by Ivey and Sun amounted to marking the cards, despite neither of the two touching the actual cards in any way. Hillman also ruled that Ivey and Sun were obligated to follow the rules and odds of the game as defined under New Jersey’s gambling, and that the artificial changing of those odds thus made the game illegal under New Jersey law. This assertion came despite New Jersey’s gaming regulators thoroughly investigating the case, and choosing not to bring gaming-related charges against the pair. The case’s lengthy analysis offers a novel viewpoint on several topics of interest to gambling consumers, as Hillman wound a tortured, though largely consistent, legal path on his way to rendering the expected home-court ruling, one which clearly favor the state’s casino and business interests, and appears to codify a “right to profit” as part of the casino world’s existence. We’ll return to some of these topics and concerns in follow-up features. Ivey and Sun, and perhaps others, view their actions to be akin to cunning, but not rule-breaking, maneuvers performed in many games, such as a play-action pass in American football or the “Marshall swindle” in chess. Sun’s mental acumen in distinguishing the minute differences in the patterns on the back of the playing cards is remarkable. But, even though Ivey and Sun’s cunning and skill did not break the rules of Baccarat, what sets Ivey and Sun’s actions apart from deceitful maneuvers in other games is that those maneuvers broke the rules of gambling as defined in this state. Borgata and Ivey and Sun were obligated to follow the proscriptions of the CCA in order to lawfully gamble in the first place, and then they were also obligated to follow the rules of Baccarat. Ivey and Sun breached their primary obligation. Ivey and Sun’s actions violated the rules of the CCA, a necessary, material, and mutual term of their contract with the Borgata, which undermined and defeated the New Jersey Legislature’s intent when it legalized gambling and enacted the CCA. In order to fulfill the goal of providing economic structure, general welfare, health and prosperity to the State of New Jersey through legalized gambling, the casinos and the patrons must all abide by the CCA. Ivey and Sun breached this obligation when they marked the cards to shift the odds of Baccarat in their favor. However, it is axiomatic that a breach of contract alone is not fraud. Nor does every act of deceit meet the elements of fraud. Fraud, whether as codified or at common law, requires a higher showing. Ivey and Sun did not defraud Borgata in the legal sense, just as a football team that runs a pass play instead of a running play does not defraud the other team. This is because their representations did not violate Baccarat’s rules, were not material to Borgata, and no independent obligation to disclose existed under the circumstances. Their conduct is far from admirable, but fraud requires more. Accordingly, Ivey and Sun’s motion for summary judgment on Borgata’s claims against them are granted on all claims except for Borgata’s claims for breach of contract. Borgata’s crossmotion for summary judgment in its favor is granted on its breach of contract claims, but denied as to all other claims. Within 20 days of the date of this Opinion, Borgata shall submit a brief setting forth its damages resulting from Ivey and Sun’s breach of contract, along with a proposed form of judgment. 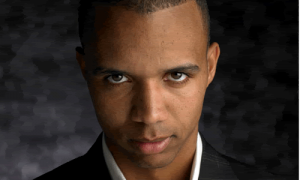 Ivey and Sun shall have 20 days thereafter to file a response to Borgata’s submission.